So you’ve decided to go it yourself and you’ve opened up your own firm. Congratulations! We sincerely wish you nothing but success. Unfortunately though many new business fall prey to the same mistakes time and again. We’d like to highlight four of those common mistakes and how BOSS accounting outsourcing can help you get past them. Almost any entrepreneurial advice you’ll come across insists that when you start a new business you find a particular niche to service. Why? Because trying to be a one-stop shop for every service possible under the accounting sun is going to result in marketing and services that are especially appealing to nobody at all. The flip-side to this is that you create a menu of services so niche that they are of use to almost nobody. The trick here is to find that sweet spot that will leave you with a big enough client base for you to have someone to sell your services to without going so wide that you’re back to a scattershot approach to your marketing. Here’s how BOSS accounting outsourcing can help – let’s say your targeted niche is people like you, people opening up their own businesses. The majority of your menu of services is made to help these entrepreneurs over all the documentation, taxation, and bookkeeping speedbumps that they’re encountering for the first time. By shifting the routine compliance work and bookkeeping over to your BOSS overseas team you’re going to free up a lot of time to let you give these nervous self-starters the focused attention their new businesses require in the first year or two. Even better, your BOSS accounting outsourcing workers have dealt with hundreds of such start-ups before. That’s a lot of data and expertise. They’re going to recognise danger signs or opportunities that you will relate to your clients. You’re no longer just their accountant – you’re the Jane or Johnny-on-the-spot who saved them from financial disaster with a quick intervention. News about such good deeds tends to spread rather rapidly. Soon more and more people in your niche are going to want what you’re selling. Your start-up funds dry up. Why? There are a number of possible reasons – you’ve hired additional help too soon, you were unable to finish raising enough capital after you had launched your business, or you simply didn’t budget well enough. 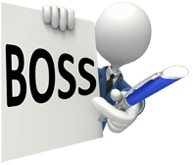 BOSS accounting outsourcing is the easy answer to the first of these reasons. Remember, when you hire someone you’re not just paying their salary or wages, you’re paying for the hiring process, benefits, superannuation, holidays and sick leave, physical needs like office space, desks, chairs, and computers, possibly additional computer program upgrades, time lost to training, and so on. And after all of that, you may have ended up with a dud employee and you’ll have to start all over again, plus give the ex-employee severance pay. That’s a lot of cash for a baby business to burn away. But with BOSS accounting outsourcing your costs drop significantly – no physical needs, no benefits or superannuation, and so on. Plus your overseas workers are all already up to speed on any Australian or New Zealand accounting service you care to name, so there’s no time lost to training. You’ve crunched the numbers and you see that restaurant start-ups are booming. You pick that as your niche. You’re all gung-ho and you sell the idea to restaurant entrepreneurs that you’re going to revolutionise new restaurant bookkeeping. They’re super excited. And then they ask you “How?” And you have no idea. Or the other side of the coin – you have created packages that could really help new restaurants over the first-year hump, but they don’t know about it because you haven’t marketed them properly. BOSS accounting outsourcing frees up a ton of time so you can get in touch with your clients. If you’re unsure of how to answer the question “How?” spend some of that free time in a meeting with some of your potential clients and turn the question back on them. What services would they want from a business like yours? What are the hurdles that are causing them the greatest amounts of pain? It’s simply not enough to throw open your doors. The accounting business is not one that embraces a “build it and they will come” philosophy. Set milestones in a documented form. By doing so you’ll be giving yourself concrete courses of action that you know you have to take. Without these milestones you’re going to be scattered and spending too much time on things that don’t immediately matter. At the beginning these milestones are probably going to include things like getting five new clients by such-and-such a date. To accomplish that milestone you’ll want to set yourself sub-goals like getting involved with two niche-related groups on Facebook or LinkedIn. When it comes to the point where your next few milestones are about expanding your menu of services make one of your sub-goals be about looking into BOSS accounting outsourcing. This sub-goal is going to encompass expansion and cost-savings all under one big check-mark.